I feel like I have been crying out for a new IP from Nintendo for a decade now. Really, has Nintendo’s core group of developers designed a new property since Pikmin back in 2001? Well it took some time, but Nintendo has finally delivered on that demand, and the end-product, Splatoon, looks to be a fun deviation from the standard 3rd Person Shooter that appeals to younger and older audiences alike. I think what actually appeals to me more than the multiplayer, and this is very surprising, is how the main single-player campaign looks to be a spiritual successor to the 3D Mario games (Galaxy, 3D World, etc.). For lack of a better word, the campaign is a platformer, which is an exciting concept that Nintendo doesn’t seem to be touching upon, given it is their pedigree design formula. But what do the reviewers have to say about the game? 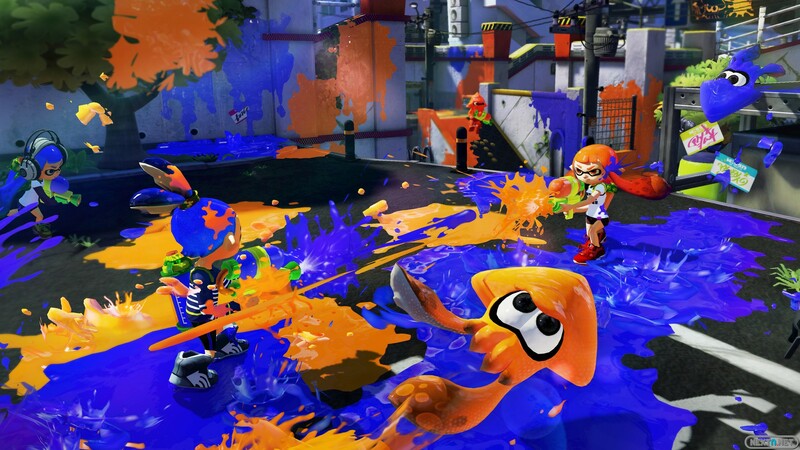 Games Radar: It breaks my squid-loving heart to be so down on Splatoon, because the core gameplay offered is one of the freshest and most exciting things to come out of Nintendo in years. But I can’t help but feel like this game should have come out three, maybe six months later, when all of the content is finished and included on the disc. As it stands, there’s simply not enough game here on day one to make Splatoon anything more than a weekend curiosity, and there’s no telling whether the content coming down the pipeline will be worth sticking around for.